On a warm Wednesday night, we decided to have dinner at Sado Island which is located in Claremont. This is my second visit to Sado Island after my first visit with my friends. But this time, I decided to bring mum and dad along. We arrived at the restaurant a bit late which was just after 8pm. There were only two tables occupied and it seems to be very quiet on a Wednesday night. Maybe most of the customers may have had their dinner earlier. For the Entree, we had the Kani Maki (Spider Roll) ($17) and Agedashi Tofu ($12). 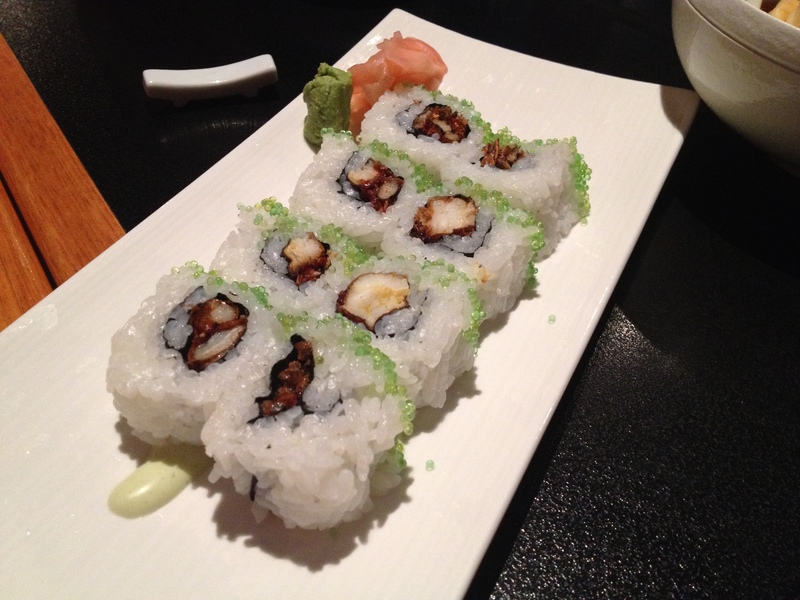 The spider roll is a deep fried crispy soft shell crab in an inside out sushi roll. The spider roll was very delicious and it was very deep fried to perfection, leaving it crisp with every bite. The Agedashi tofu was very nice. It had a bit of crisp on the outside as it was deep fried but one bite in the mouth, it was very soft and silky. 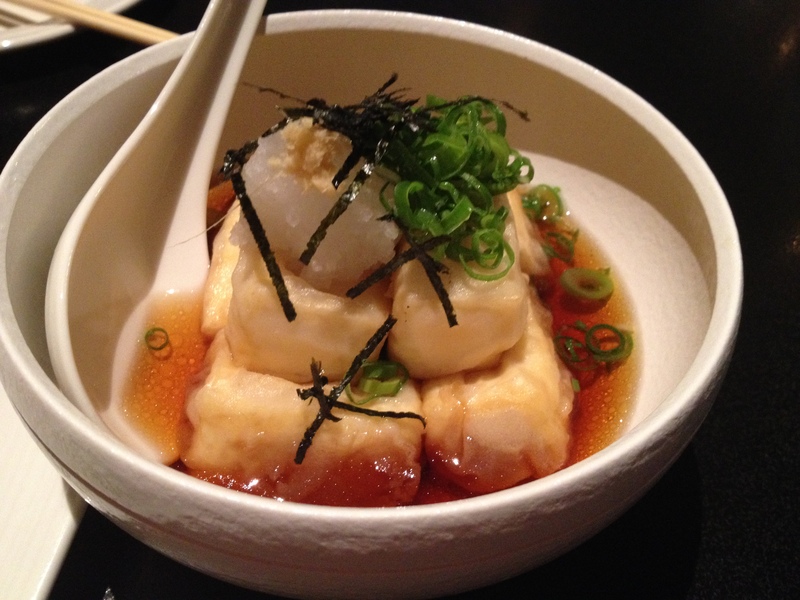 The Agedashi tofu blended well with the tempura sauce too, giving it a hint of saltiness which was not overpowering. Our mains arrived. We had the sushi ($36) and sashimi ($37) mains and the Sumiyaki Beef main with rice and salad ($36) to share. The sashimi arrived with an assortment tuna, salmon, yellow tail and octopus and the sushi comprised of tuna, yellow tail, salmon, prawn, egg, tuna roll and california roll. 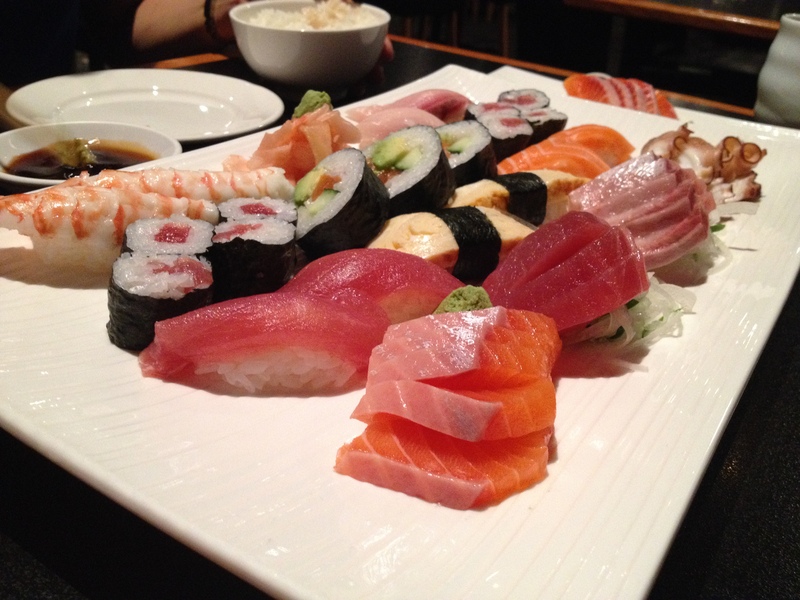 Both the sushi and sashimi were very fresh and were executed perfectly. 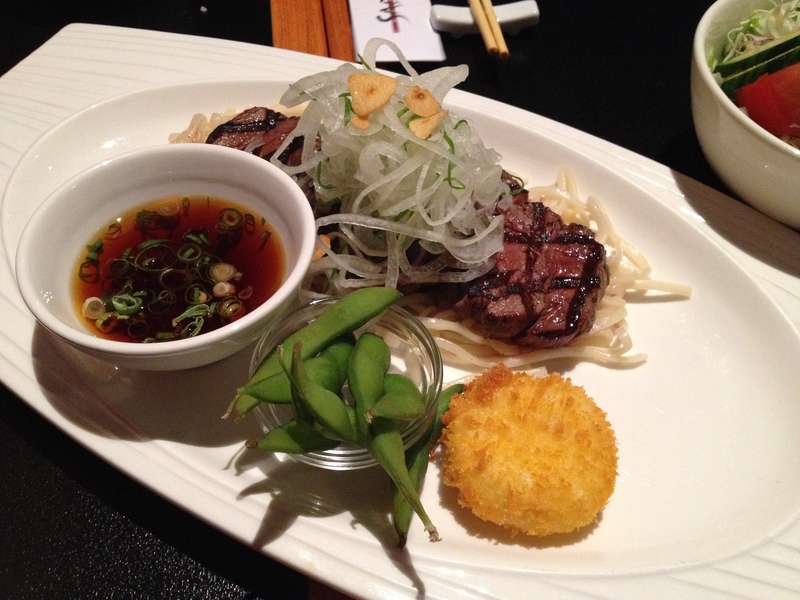 The Sumiyaki Beef main is a char grilled beef tenderloin served with lime flavoured soy-sauce. The Sumiyaki Beef was cooked perfectly and was very tasty. The lime flavoured soy-sauce complemented the Sumiyaki beef well giving a tangy hint to the beef. After a yummy dinner, we decided to order some desserts. I had the homemade Green Tea Ice Cream ($7). Mum had the Coconut Ice Cream with Mango Sauce ($10) and dad had the Dora Yaki ($10) which is a pancake sandwich with red bean served with ice cream. 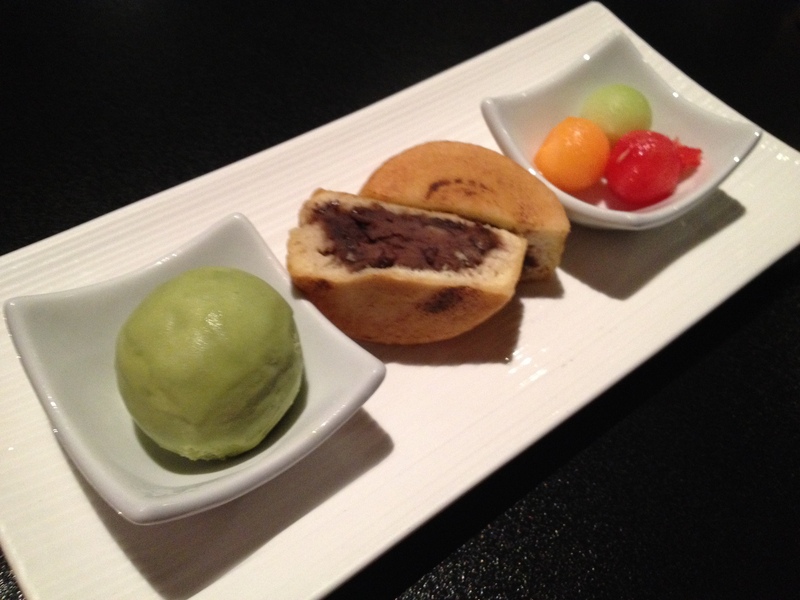 I love green tea and I thought that the homemade Green Tea Ice Cream was perfect as a dessert. 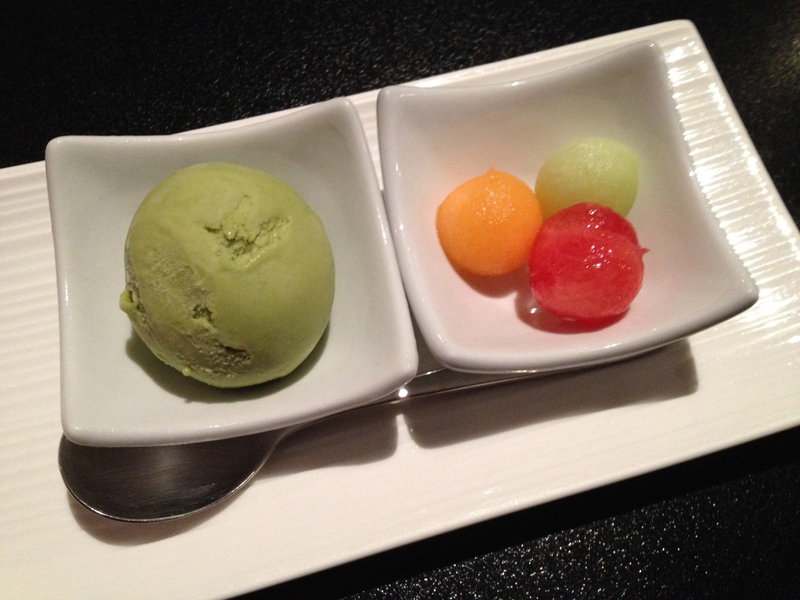 You can’t really go wrong with green tea ice cream in a Japanese restaurant. I tried the Coconut Ice Cream and it was also as good as the green tea. 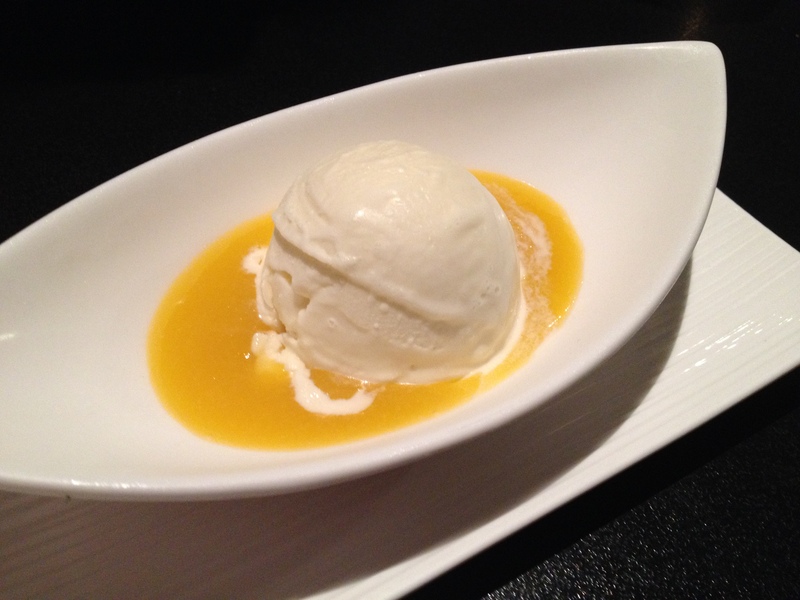 The Mango Sauce complemented the coconut ice cream very well too. My dad enjoyed the Dora Yaki and thought that it was really good too. The Dora Yaki came with a generous filling of red bean and the pastry of the Dora Yaki was very soft. You know what I have a new respect for Japanese food and I love sushi. Have been slowly introducing the husband to it as well. Will take him here one day.